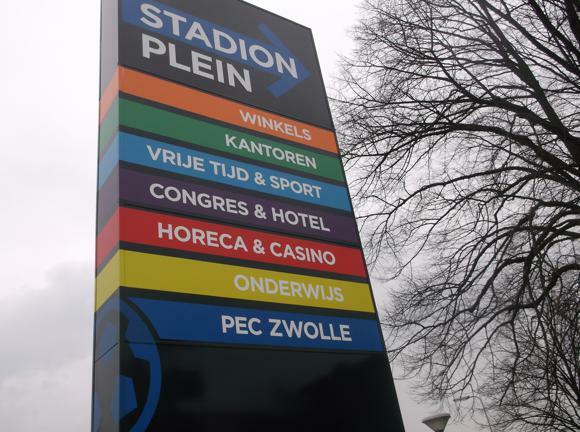 Dutch Cup winners in 2014, finalists the year later, PEC Zwolle are still feeling the loss of coach Ron Jans, who bowed out in 2017 after taking his home-town club into Europe. As a striker in the late 1970s, Jans also spearheaded Zwolle’s previous purple patch, under miracle-worker coach Fritz Korbach. 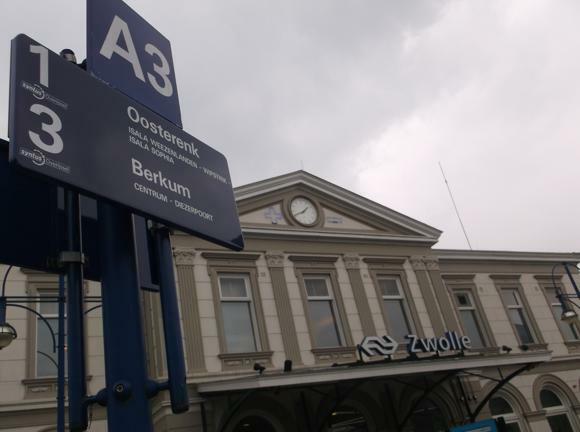 Apart from these two brief spells in the relative limelight, Zwolle were mainly a second-tier outfit, representing a busy trading town in the province of Overijssel. 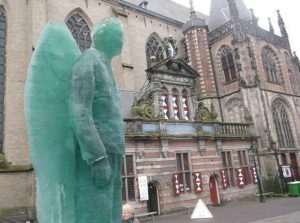 Known as Blauwvingers after the copper coins they once counted in medieval times, the Bluefingers of Zwolle have a football history dating back to 1910 – though today’s PEC came about through a merger in 1969. Or rather, another merger, for the original PEC were an amalgamation of Ende Desespereert Nimmer formed by railway workers in 1904 and Prins Hendrik, founded by Zwolle’s emerging middle class in 1906. 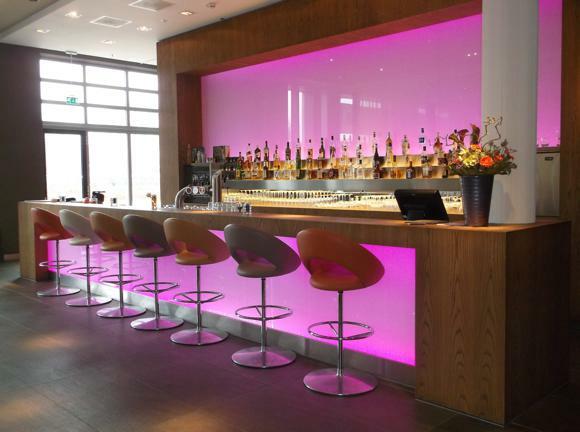 Three years later, at the Hotel Koenders, the first letters of P and E were brought together as a Combinatie, hence PEC. A decade later came Zwolsche Boys, later semi-pro, and briefly in the national second tier. 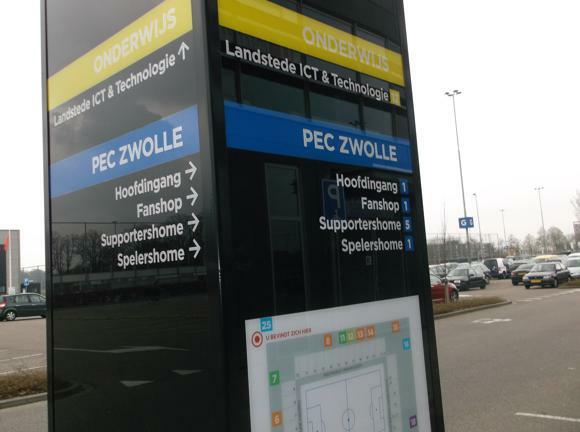 These city rivals, PEC and Zwolsche Boys, played at the Sportpark De Vrolijkheid and Gemeentelijk Sportpark, each at different times, the more moneyed and influential PEC usually having their pick of whichever one was most recently upgraded. Forced into amateur obscurity, the Boys let their best players go to PEC and ceded the Gemeentelijk Sportpark after being swallowed up in 1969. The move didn’t even merit a change in acronym. 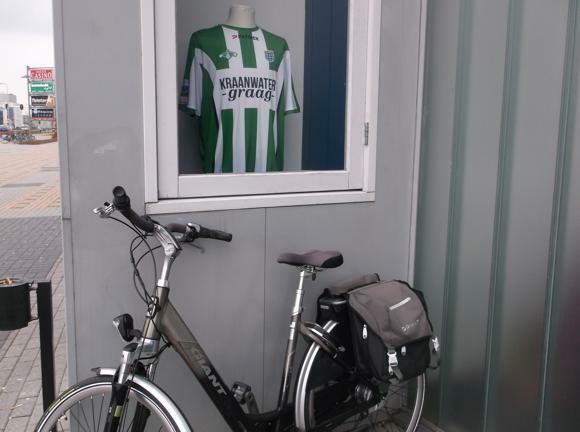 Within two seasons, PEC had made the Eerste Divisie – within seven, the top-flight Eredivisie. Galvanised at the back by former Feyenoord legend Rinus Israël, briefly featuring World Cup star Johnny Rep, Zwolle performed creditably for two or three seasons with the big boys, then struggled. Worse, salaries for star players had all but bankrupted the club. 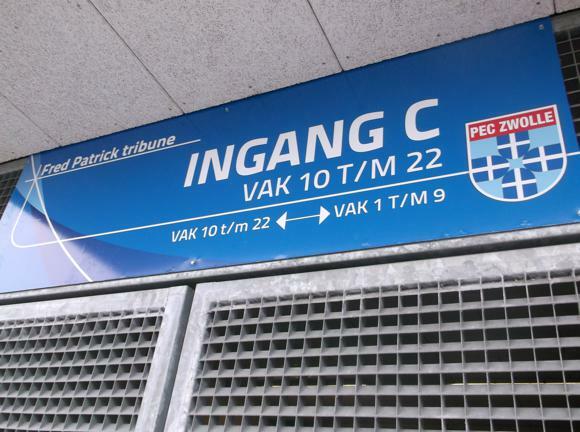 Salvaged by philanthropic millionaire Marten Eibrink, the renamed PEC Zwolle ’82 staggered on until actual bankruptcy in 1990. 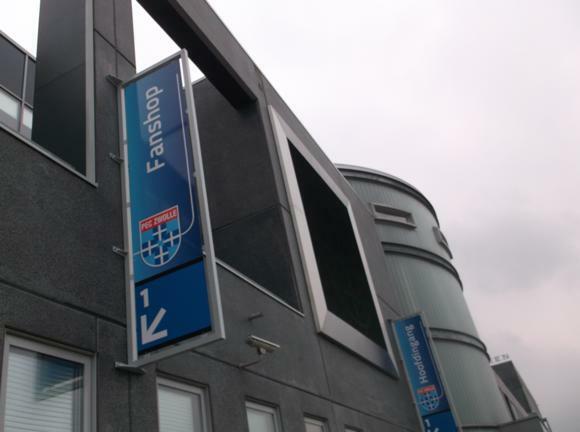 Saved from the brink once more by Eibrink, the now FC Zwolle nurtured two young defenders who would make their names in the UK – Bert Konterman and Jaap Stam – but failed to return the top tier until a decade later, in 2002. 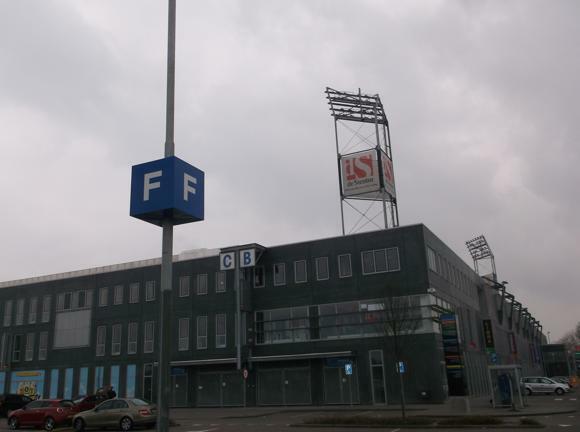 By now, their ground, no longer referred to as the Gemeentelijk Sportpark but the Oosterenkstadion, was showing its age. Building a new stadium on the same site required the financial clout of a casino, controversially included in the plans. 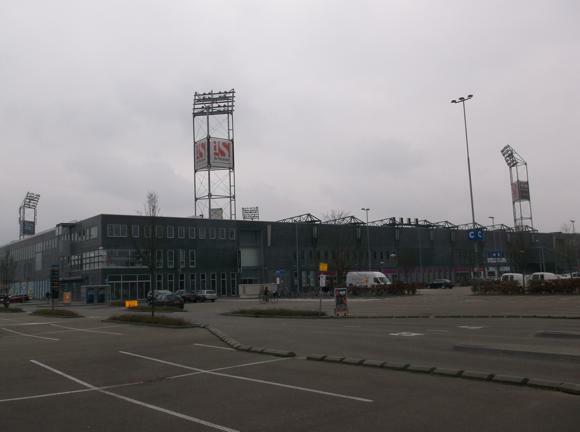 Currently called the MAC3PARK Stadion, and expanded to a 14,000 capacity in 2018, since opening in 2007, the originally named IJsseldelta Stadion has presided over the most successful period in the club’s history. 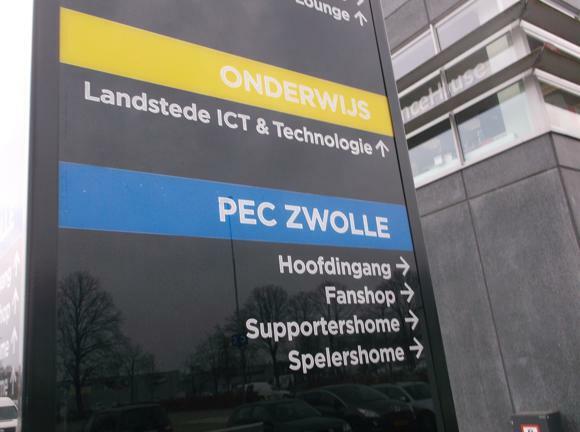 First came the Eredivisie title win of 2012 and promotion, encouraging the club to resurrect the name PEC Zwolle. A first major silverware would soon follow, and in the most dramatic of circumstances. On Easter Sunday in 2014, Zwolle didn’t just sneak the Dutch Cup by stealth or penalties – the Bluefingers pasted Ajax 5-1. And this a match that nearly didn’t take place. During the opening minutes, visiting fans from Amsterdam held up proceedings with fireworks and smoke bombs. A passionate appeal from Ajax marketing director Edwin van der Sar partly stopped the trouble. The game eventually resumed, only for a brace from New Zealand international Ryan Thomas, and another from Feyenoord loanee Guyon Fernandez, put four goals past the soon-to-be-crowned league champions before half-time. While Ajax issued a three-year ban on their fans from the host stadium in Rotterdam, Zwolle arranged a rooftop parade for the Easter Monday. A few months later the same teams met in the Johan Cruyff Shield, Holland’s seasonal curtain-raiser, when a solitary goal by man-of-the-match Stef Nijland meant another unlikely victory for the underdogs. An automatic berth in the Europa League play-off round did Zwolle little good – a late away goal by Sparta Prague set up an easy 3-1 second-leg win for the Czechs. Beating Twente Enschede in a semi-final penalty shoot-out, Zwolle made the Dutch Cup final again in 2015, only to lose to Groningen. With the departure of Ron Jens in 2017, Zwolle have slumped to mid-table, hiring old boy Jaap Stam as coach in December 2018 to ward off relegation. The MAC3PARK Stadion (‘Mac Drie Park Stadion’) stands on the site of the former Oosterenkstadion, built in 1934. It was here, 50 years later, that Johan Cruyff played his last official match, and the main stand was later named after him. 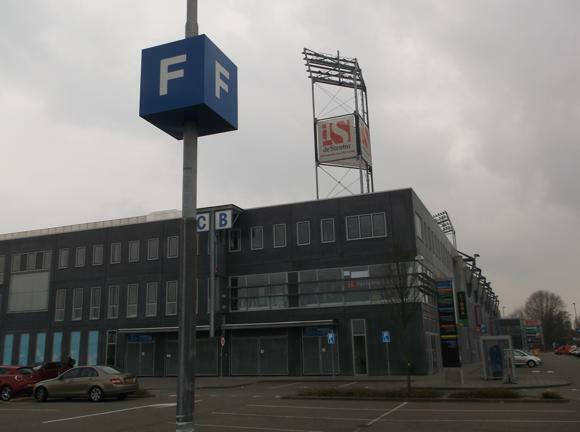 Following the 2007 rebuild, this became the Henk Timmer Tribune, a fans’ poll also deciding on the Fred Patrick Tribune opposite and the Klaas Drost Tribune behind the south goal. Here, away fans are allocated the three sectors nearest the Fred Patrick Tribune. The home north end was not named by a vote, more a public outcry when Marten Eibrink, who had twice saved the club in the 1980s, had not been among the suggested stand names. The Zwolle crew gather here, seated in upper sections 1-5, standing in 2-4. Expanded to 14,000 capacity in 2018, the MAC3PARK Stadion is perhaps the only one in Europe with an area specifically for blind visitors. The Blindentribune in sector 30 allows the sightless, and their companion (guide dogs are not encouraged) to enjoy the game thanks to a headset and warm drinks during the game. Several buses serve the stadium north-east of the town centre. The No.3 leaves from Stand A3 outside the station (every 15min weekdays, every 30min eve & weekends), reaching ‘Stadion’ nine stops away in under 15min. The No.8 sets off from Stand B and is slightly quicker. 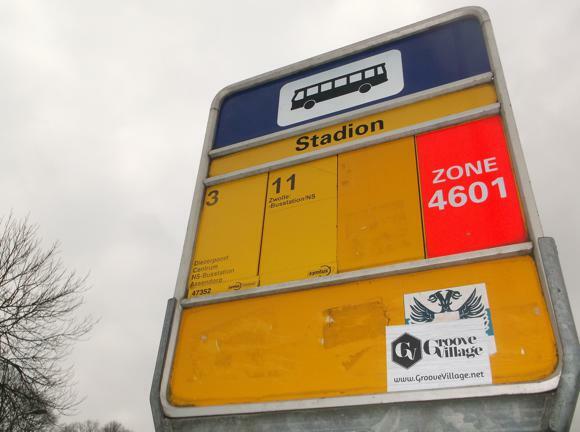 Bus line 1 from Stand A2 goes as far as Sophia Hoofdingang, by the hospital, a short walk to the south stand and away sector. 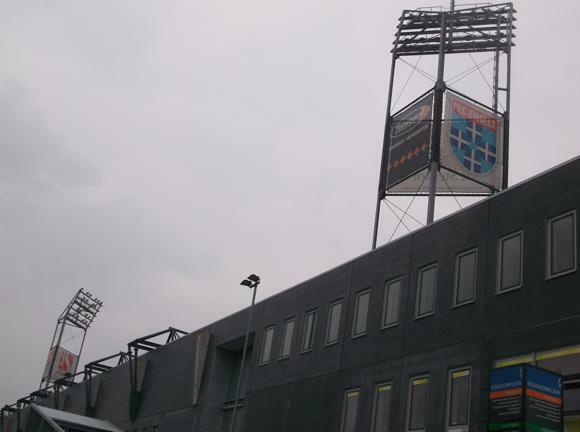 With capacity at 14,000 and average gate of 13,000-plus, few tickets are sold on the day at PEC Zwolle. 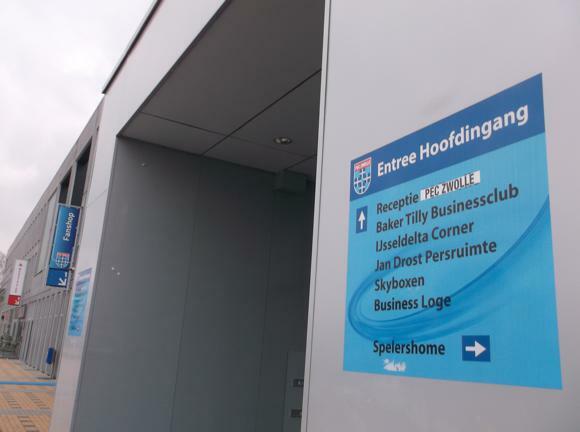 In addition, most home games are only open to holders of a ClubCard (€7.50, four-year validity) – applicants will have to register online in Dutch and may not be a member of another club. Advance purchases are distributed via the Fanshop (Mon-Fri 8.30am-5.30pm, match days for available tickets 90min before kick-off) and online. 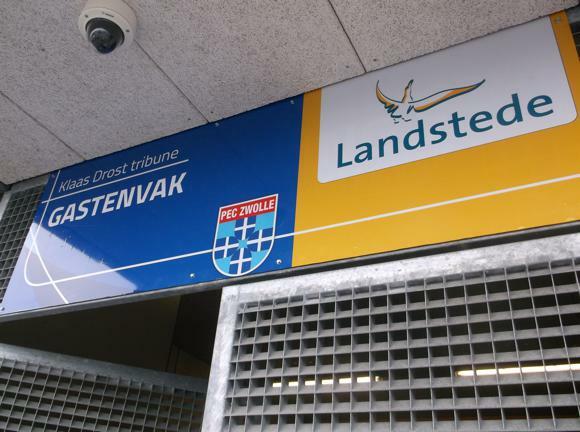 Most areas and sectors of the ground, apart from the main Henk Timmer Tribune, will have some kind of availability a few weeks ahead of time. To sit or stand behind the home north goal is €18, to sit in the opposite Klaas Drost Tribune, €18-€22. Along the sideline Fred Patrick Tribune, it’s €18-€31.50. For top games against Ajax, PSV and Feyenoord, prices rise by €5-€6. Discounts for 13-16 year olds are €5-€6 less, for under-12s, about half price. Resale agency viagogo will have a few tickets on offer for occasional games, but at way above cost price. 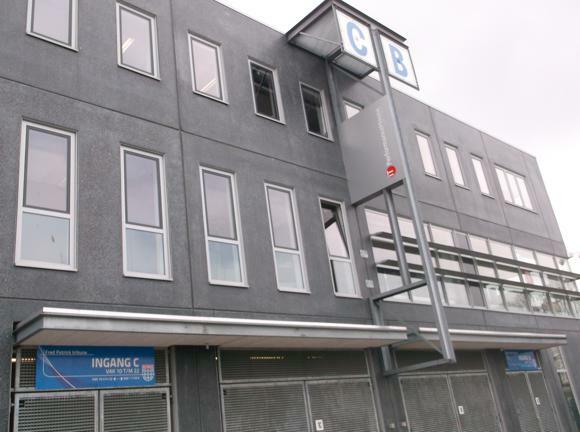 Behind the main stand on the main road of Ceintuurbaan, the PEC Zwolle Fanshop (Mon-Fri 8.30am-5.30pm, match days 2hrs before kick-off & up to 30min after final whistle) proffers home shirts of blue-and-white hoops, away tops in white and third-choice in black. Ones featuring singing duo Rico & Sticks have sold like hotcakes. 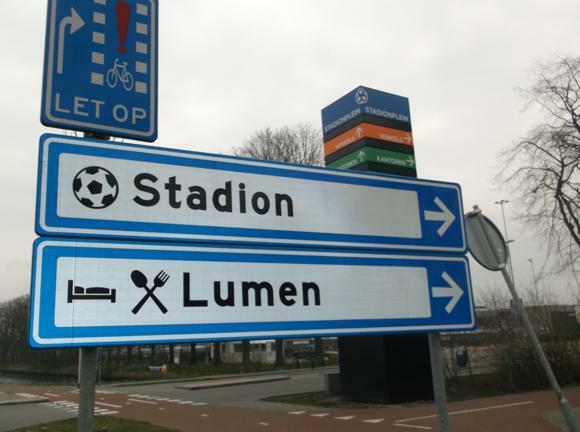 Behind the main stand, the Bluefinger Restaurant in the Lumen Hotel takes online bookings for pre-match three-course meals with wine at around €50/head. 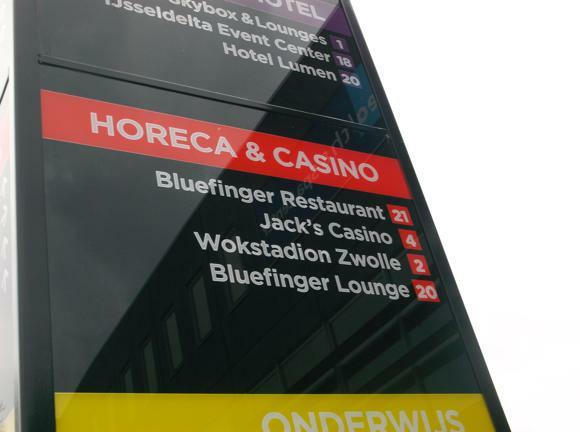 The good news is there’s not only a Bluefinger Lounge bar, but it’s open 24 hours a day. 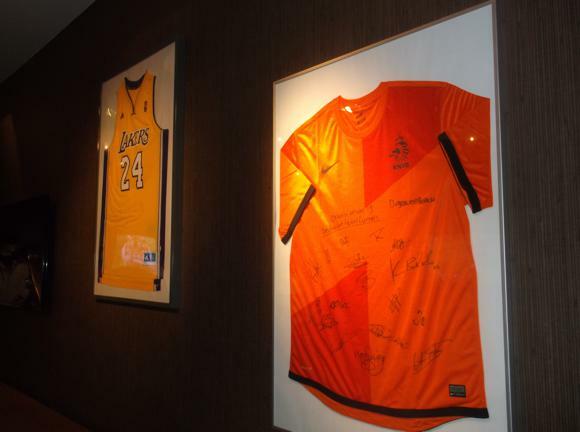 Sensible, reasonably dressed non-hotel residents are welcome to use it – note the signed Holland shirts on the wall, and table-football table. With no other bars in the vicinity, choices are otherwise poor. 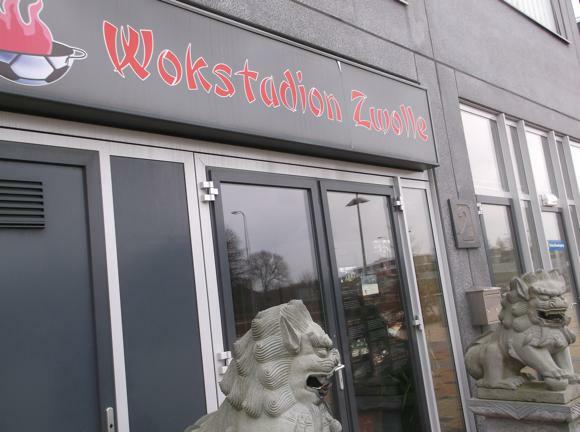 Alongside the Lumen, the Wokstation Zwolle offers an all-you-can-eat buffet in the €30/head range – there’s no chance of a quick, cheap chow mein and pre-match drink. Alongside that, Jack’s Casino, which caused all the fuss when the stadium was built, serves no alcohol. 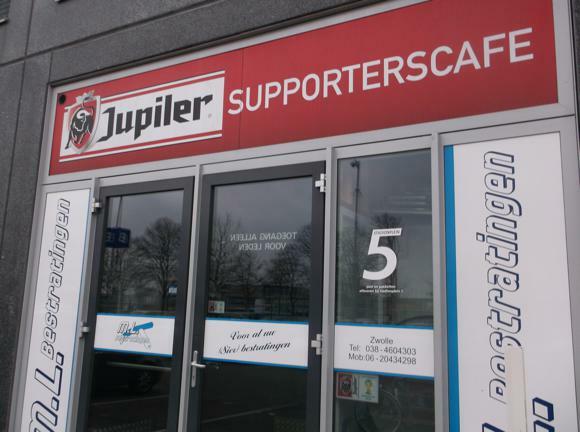 Home fans gather in the Jupiler Supporterscafe near the casino and home north end.